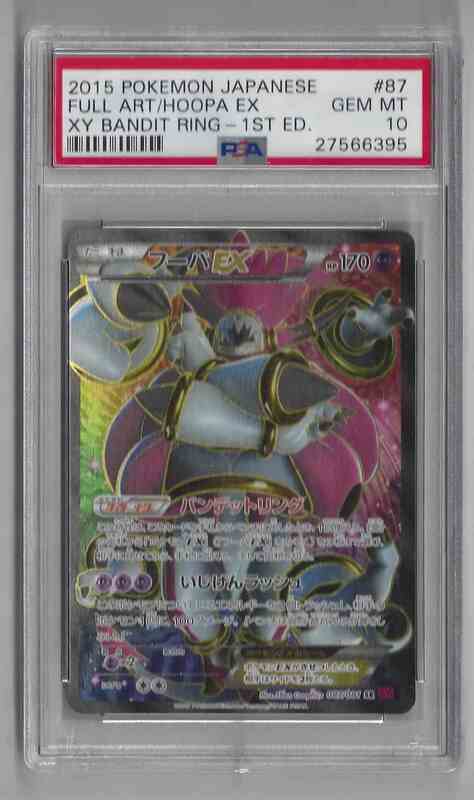 This is a Pokemon trading card of Hoopa EX. It comes from the 2015 Pokemon Japanese 1st Edition Xy Bandit Ring set, card number 87, serial numbered 27566395. It is graded 10.0 by PSA. 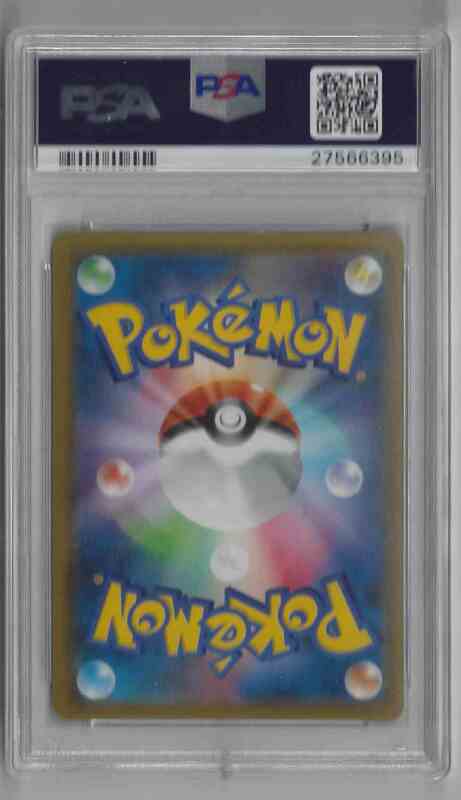 Full Art. It is for sale at a price of $ 100.00. Approximate size based on scanned front picture: 5½" x 3¼"